Knock knock. Who's there? 2,500+ young leaders. Jack Ride 2018 was our biggest, most powerful Ride yet. 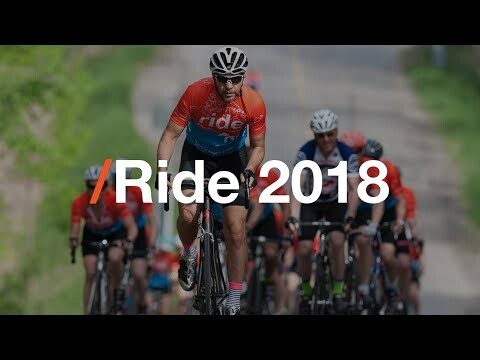 Jack Ride 2018 was the largest to date, hosting 950 riders and over 150 volunteers. Together, our riders raised over $900,000. That is an astounding figure. We’ve truly come a long way from our first ride in 2010, which hosted 70 riders. Over 1,000 people gathered at Caledon Ski Club to support #OurMovement, and do something for youth mental health. Our Riders were - are - incredible, conquering hill after hill. Volunteers, friends and family cheered until they were hoarse. Our incredible sponsors were there to support. The energy was on point. Seeing the continuous growth Jack Ride experiences year after year truly emphasizes that youth mental health is a critical issue of our time, touching us all, and demanding our collective attention. The mental health revolution couldn’t happen without each and every Rider, volunteer, sponsor, and cheering aunt who dedicates so much time and energy to the cause. These are the people who make Jack Ride the Ride for youth mental health in Canada. To our sponsors, thank you for fuelling another great year. Thanks to you, there were burgers. There were rad prizes. There were free massages. And most importantly, because of you, every single dollar we raised will be invested into Jack.org’s programs. To our volunteers, thank you for your enthusiasm. Whether you were up with us at 4:30AM blowing up the big blue arch, or literally pushing riders up hill...you did good. We treasure each and every one of you. Stay tuned for Jack Ride 10. It'll be huge.